Sunday was another day off on my business trip. 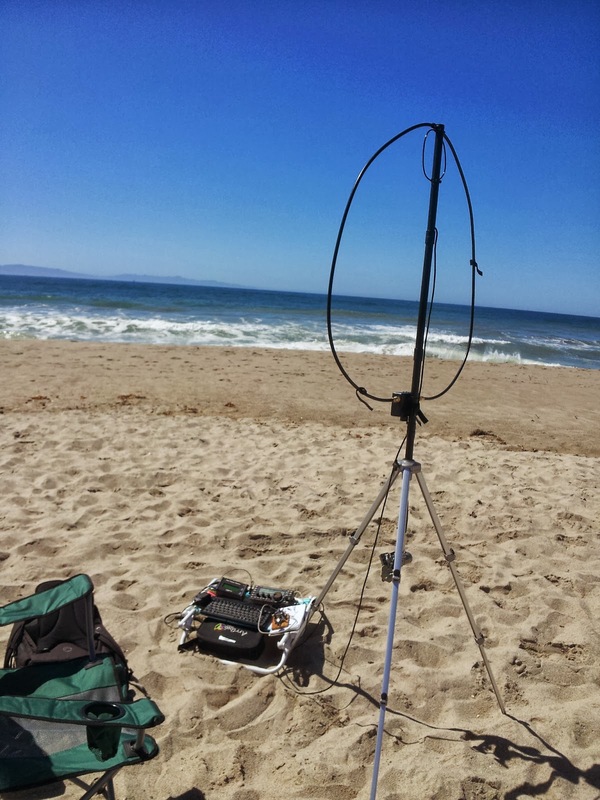 I decided to continue Rapid Deployment Amateur Radio (RaDAR). I started the day at the Oxnard Beach Park with the same setup I had on Saturday for QRP Afield. 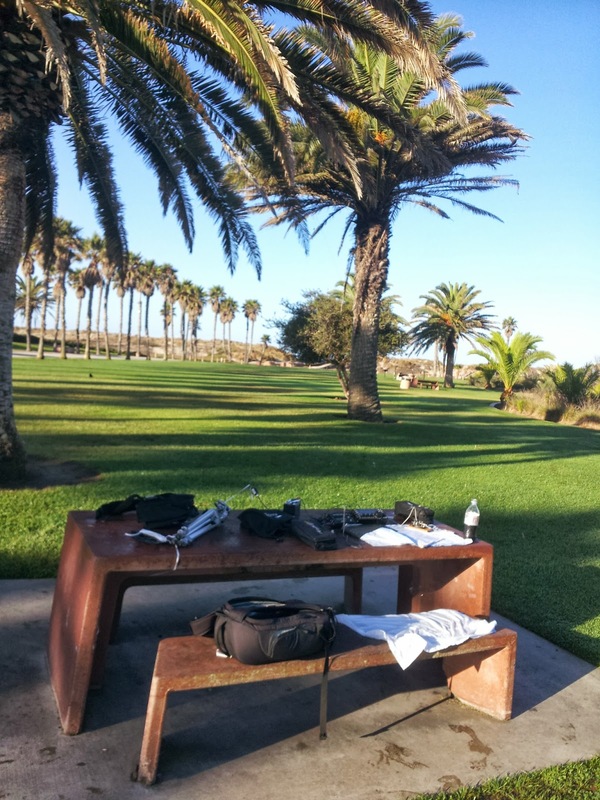 It was a one kilometer walk from the hotel so my contacts were good for two QSO points. I was pretty slow going but I worked CA, CO, OR, OR (PSK), and WA. The first OR contact was KE7LKW Bicycle Mobile with a KX1 and a MP1 antenna on the back. Stewart send the photo below. KE7LKW KX1 Bicycle Mobile I worked near Dalles OR. The next part of today's RaDAR adventure was to hike back one kilometer to the hotel and out to the beach. Never mind the salt spray on the gear, it was worth it. The Alexloop was a convenient antenna as I don't have any poles out here. 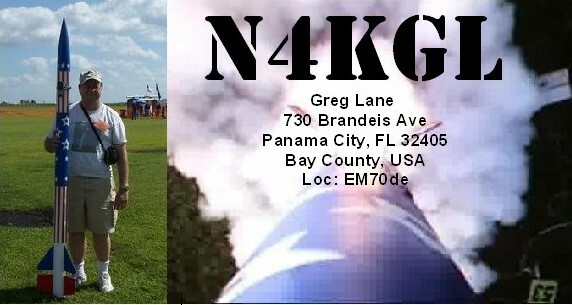 I starting out working T47RG Cuba and YN2PX Nicaragua on 17 meters CW. Then to 17 meter SSB to call CQ. I was answered by JA3JOT Teru. This was awesome to be called by a JA and as I say Made My Day. I finished out with OK on 17 CW and IN on 20 CW. 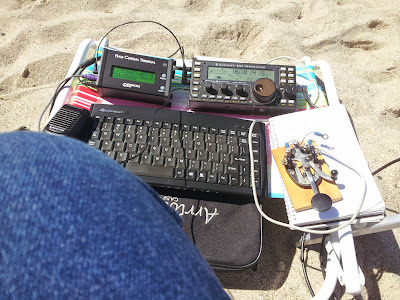 My KX3 and gear on a beach chair at my feet. RaDAR is Rapid Deployment Amateur Radio originated by ZS6BNE. The Monthly RaDAR Challenge is on-going. Today's RADAR outing was 2 points each for the five contacts at the park. It is two points per QSO if you walk at least one kilometer to setup.. Then the five beach contacts were 10 points since I walked one kilometer to the beach. I also got a 3 point bonus for at least one CW contact, a 5 points for at least one QRP contact and a 7 point bonus for at least one digital mode contact. OK I calculate 35 RaDAR challenge point. RaDAR encourages you to move 1 kilometer per five contacts. I must say the venues were very scenic today. If you like this RaDAR idea visit the RaDAR Google Plus Community. Hotel Ops Near LAX with the Buddistick.